Our second Thanksgiving dinner of the season was at the home of friends of ours. One of them is a doctor and was scheduled to work all day Thanksgiving so they decided to postpone dinner a couple days and invited some friends and family over. And who wouldn’t accept an invitation to an extra holiday dinner? They had the turkey covered this time so I focused on dessert. I skipped out on making desserts for our own T-day dinner so I looked forward to the opportunity to work on a few pie recipes I’d been eyeing. 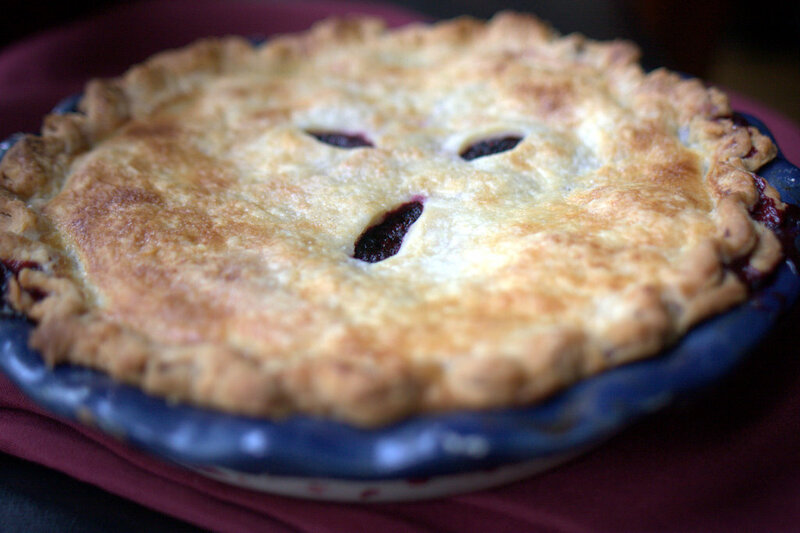 I made two pies: one was Linda Padia’s award-winning Himalayan Blackberry Pie and a Maple Hazelnut Pie. Okay, so blackberries aren’t very autumnal nor are they really T-day traditional, but it was a special request and, really, I’d be happy to eat this pie any time of year. Both turned out really well. I was experimenting a bit with the crusts. For the blackberry pie, I used chilled vodka for my liquid instead of water. I understand that this is supposed to make the pastry flakier by preventing gluten formation. IT also keeps the dough colder when you’re working it. 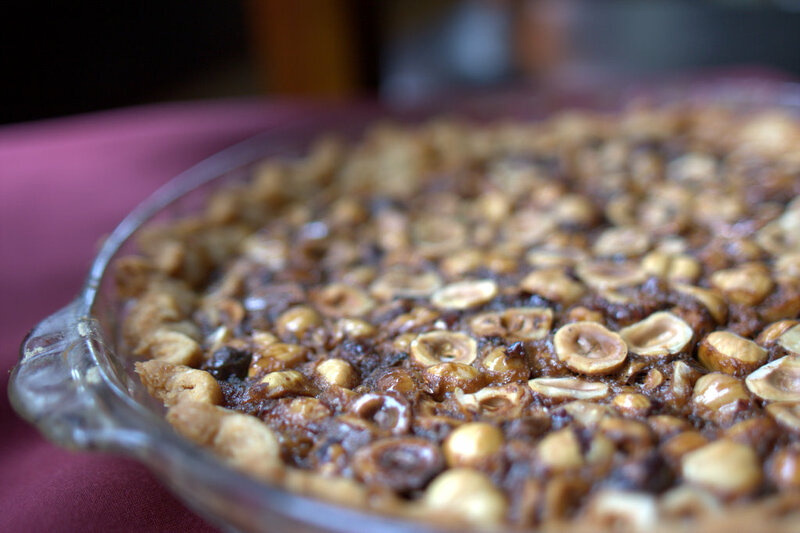 In the Hazelnut Pie, I used half butter, half lard from the lard I rendered from Drusilla the Pig earlier this summer. Again, lard is supposed to make for a flakier crust, though I’m not exactly sure of the science behind it. In any case, both crusts turned out wonderfully well. But the lard crust I thought was especially good — so tender and flaky and with a little extra flavor. It wasn’t porky, really, which was something I was afraid of, but it just had a little extra umami oomph, especially against the nuts and maple syrup. Next experiment? Vodka AND lard. How do you like that? I like to eat and take pictures. Sometimes, dangerously, at the same time.